These are times of incredible, instantaneous growth and evolution, and we need help to integrate such powerful transformation. Whenever we truly need something, the Earth answers with something from Her body, to help us now — like Stones which help us absorb even the most dramatic change. 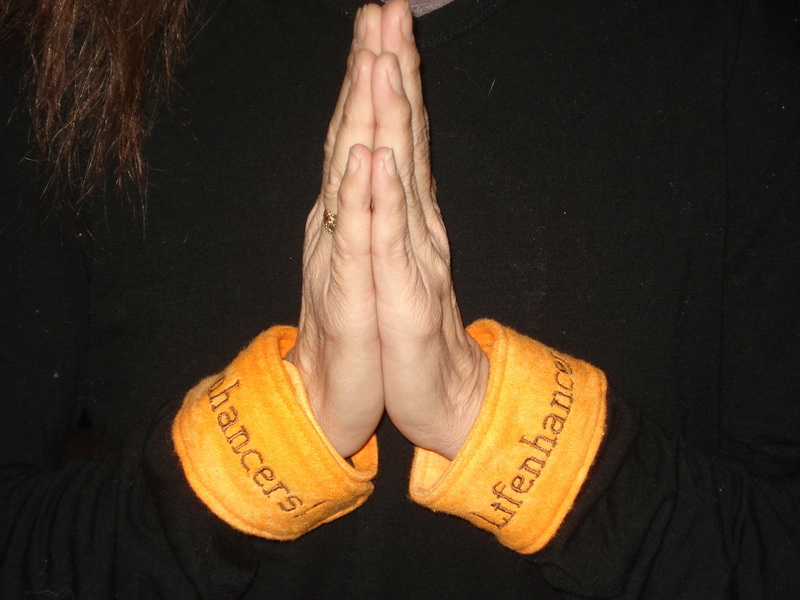 That’s why we have respectfully co-created Lifenhancers: organic Bamboo fabric bands filled with hand-harvested, naturally high-content Lithium crystal clay to be worn on specific parts of your body — to grow more lifeforce in all that you do and be (and also Lifenhancers with incredible Shungite instead of the Lithium, in order to facilitate a different kind of support). Lithium, in its natural state, supports almost every metabolic process of our bodies. It stimulates or softens us, according to our needs. It often acts like Vitamin C in our bodies. It tones us. It activates our immune system. It can remind us of poetry and magic, as we allow. When we wear it, it empowers us; it enriches our strengths and keeps growing them so that we can absorb any challenge and change peacefully and cheerfully. We also can customize Lifenhancers with additional Stones, to support your direct, specific needs. For this, we listen to your specific request, the Stones and the Earth Mother, who then provide so bountifully in all ways a response to your desire. The Shungite Alive! version of Lifenhancers uses the amazing evolutionary qualities of Shungite instead of Lithium in order to allow us to again wear this special energy on our bodies in organic bamboo. Shungite is also available in many other forms besides the Wearables- like cell phone disks, water purification, etc. Shungite is a black carbon-based Mineral found only in Russia and is the only known natural occurence of Fullerenes. We were one of the first to bring and promote Shungite to this country and have been doing so for years. We are very particular about what type of Shungite we use and where it is from, based on our own conversations with our Spirit family and the Elementals and the Deva of Shungite. Physical/Emotional/Mental Integration: I know that you live in impossible times. So I come to show you your full power and strength. Join with me and we will grow a new world where the technologies will not overshadow the pure bliss of breathing well upon the Earth Mother. Electrical Body Alignment: I join you with your 100% activated and synergistic brain. Affirmation of Support: "I live with my full genius and I create my world accordingly." Shungite, in its Lifenhancer form, like the Lithium form, can be very specific to certain places on your body. For instance, wearing the Anklebands can be much more grounding than wearing the Wristbands. The Wristbands can be much more about giving and receiving of information and the process of how that occurs. Each different Wearable has prioritized usage. If you have questions about this, ask us for help in choosing what is best for you in the moment. The Lifenhancers invite you into a new, ever-present relationship with your own divine vehicle (your physical body) and it is well to remember that it can be just as important to honor NOT wearing your Lifenhancer when it asks to be taken off as it is to honor putting it on when your body asks for it to be applied. This process allows your own specific body to then entrain with the lifeforce energy the specific Mineral offers to you in a way that is totally empowering. We use and love all these Lifenhancers in our own lives and have witnessed their tremendous and exponential effect on many other humans and beings. We have lots of stories! Jump in! You never know what wondrous events might materialize for you!!! 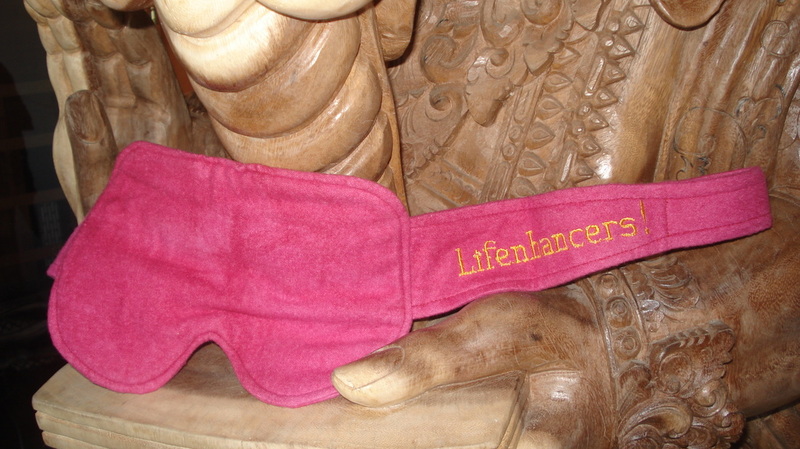 All Lifenhancers come with the Minerals enclosed in velcro pouches so you can remove them from the pouches in order to wash the Lifenhancer. The colored fabrics are hand-dyed with tree and root dyes and are somewhat sensitive to sunlight, washing, and wear as they have not had severe chemical setting treatments. us beyond our bodies into our full beings, naturally, spontaneously. Use when you want to be inspired and create your visions. These are quite specific to such a sensitive area. It can be challenging to get a child or a man to wear (or you) to wear something that aesthetically you might not feel pleased with when looking in the mirror, but the supportive affects of wearing the Lithium or Shungite on this part of your body is undeniable. The Headband has 2 specifically placed pouches and t the Ball Caps have 3 very specifically placed pouches. Back Belts — These Back Belts are extra wide and have 5 pouches of Lithium (or Shungite) (the most of any LIfenhancer except for the sleeping mats) in a geometric pattern. This Belt can also be worn to the front for issues pertaining to this area. This is an extremely effective Belt that is very adjustable and moveable. ​Wristbands — They facilitate free and easy movement, from your fingers, up your arms to your shoulders. Particularly useful for folks who are on the computer a lot. It has also been extremely helpful for carpal tunnel syndrome as well as balancing meridians fluidly and repetitively. It can make quite a difference at times if you wear only one Wristband and also which wrist you wear it on. Each body is different and each movement in wearing creates specific wave patterns with individual intents. with your open heart and willingness. ​Regeneration Sleeping Pad — Most of us fill our lives with so much stimuli that it even interrupts our sleep and our rest— the one time our bodies usually can rebuild and regenerate our muscles and our organs without interruption. Place this Pad upon your mattress to assist you in releasing all stress in your sleep, allowing your body to renew itself peacefully— therefore encouraging it to release the origins of dis-ease. We travel with one of these Pads to facilitate our regeneration on the road, in hotel rooms, or stressful environments, etc. Dreamtime Sleeping Pad — (filled with Lithium clay and a special blend of stones including Wolframite & Fluorite) Sleep, meditate, or rest (even briefly) upon this Pad to directly unite your mind and body with your Spirit and with all multi-dimensional aspects of yourself: integrate that you exist even beyond your body, while still within it. This encourages you to heal yourself with your dreams and it urges you to enter and travel in the dreamtime, consciously. Same size and geometry as the Regeneration Pad, but in a different color. ​Dog Collars — These Collars are meant to be used very respectfully. They are created to help support our 4-legged friends in their struggles to integrate their human relationships. They are a great support in transition for working WITH your animals in evening out and balancing behaviors. ​Shungite Mats - We USE these! (I.m sitting on one right now!) Two of our most useful applications are sitting on a Mat while on the computer and sitting on a Mat while driving. Amazing! You will dream up more uses for yourself! One of our new favorites! Great for the airplane flight too!